Perma Glass Mosaic Adhesive (GMA) is a two component cementitious material based on special polymers, which only needs on site mixing of the two pre-weighed components to make a paste which is used for fixing glass mosaic tiles and for laying Glass Blocks. Perma GMA is mainly used for fixing Glass Mosaic tiles and for laying the decorative glass blocks in glass walls. 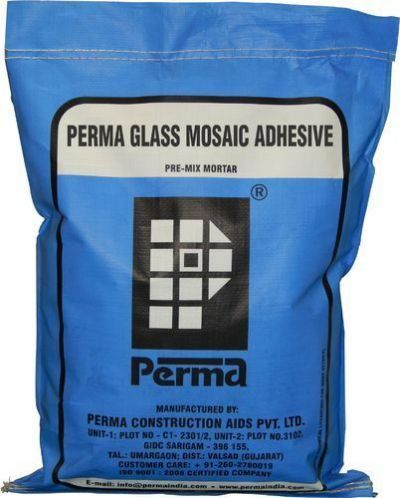 Perma Glass Mosaic Adhesive is available in 10 kg Packing and in bulk. Bulk packing comprises of Liquid in 20 Liter Drum and powder in 20 kg x 4 Nos Sacks.